The band will hit the Strip beginning in August. 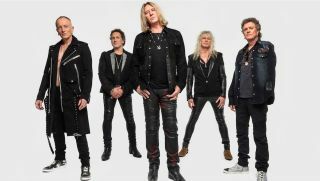 Def Leppard have announced a new Las Vegas residency, kicking off August 14 at the Zappos Theater at Planet Hollywood Resort & Casino. Dubbed “Def Leppard Hits Vegas: The Sin City Residency,” the run will be the band’s second stint in the city. The 12 performance dates are: August 14, 16, 17, 20, 23, 24, 29 and 31; and September 1, 4, 6 and 7. Tickets go on sale to the public Friday, Feb. 22 at 10 a.m. PT. General ticket prices begin at $69, plus applicable tax and fees, and may be purchased online at ticketmaster.com/defleppard or in-person at the Planet Hollywood box office. For more information, head to DefLeppard.com.